Hello Dear Reader! Before I start this blog I want to give credit to Jonathan Kehayias (@SQLPoolBoy | Blog). He’s an Microsoft Data Platform MVP, MCM, part of the amazing crew over at SQLSkills, and a really nice guy. 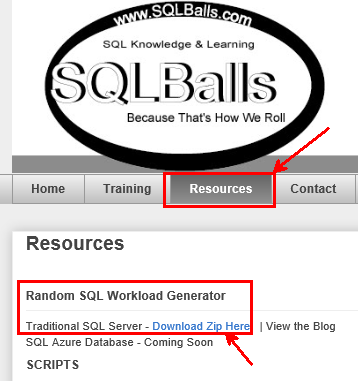 About 4 years ago Jonathan created The AdventureWorks2008R2 BOL RandomWorkload Generator (click here to read that blog). I heard Jonathan talk about this at SQL Saturday Tampa years ago. He joked at the time that, “in an effort to show that he did not have a life. He make a workload out of all the current queries on BOL for SQL Server 2008 R2”. When I present and show mine, I tell the audience about that and joke that, “In an effort to show I have less of a life than Jonathan, here’s what I’ve done”. The feedback I receive is often, "That shouldn't be a goal". Point taken Dear Reader, point taken. Needless to say, I loved the script. I grabbed it, tweaked it, and have used it for years. Ah Dear Reader, as ever you are insightful. We’ll cover this in 3 steps: Download, Setup, and Run. You can Click Here or you can visit my Resources Page. At the top of the page you will find the download for the Random SQL Workload Generator. Download the ZIP and extract it to your C:\ Drive (or anywhere else you would like). I’m going to use the C:\ root for simplicity in our next step Setup up. IF you changed the path from the C:\ folder, update ClientConnections.cmd and RandomSQLWorkloadGenerator.ps1 to change the paths to the proper file location. The “Create Stored Procedures for Random SQL Workload Generator.sql” script references the AdventureWorks2014 database. You can run this against 2012 as well, I have not yet added In-MemoryOLTP test queries, but I will eventually. 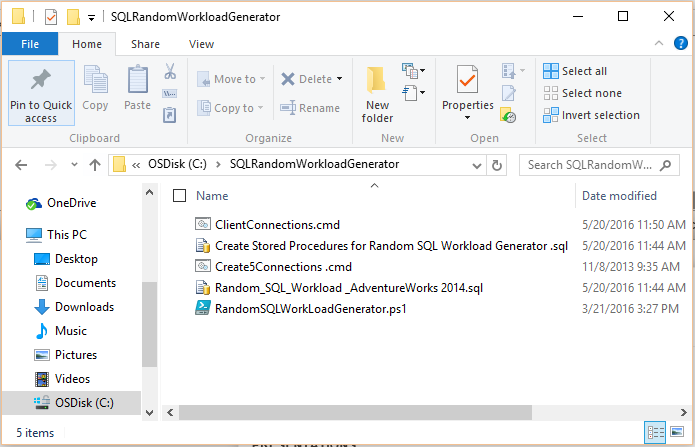 If you restored AdventureWorks2014 with a different name you will need to change that in the RandomSQLWorkloadGenerator.ps1, the “Create Stored Procedures for Random SQL Workload Generator.sql”, and the Random_SQL_Workload _AdventureWorks 2014.sql scripts. After all of the setup, you should be good to double click on Create5Connections.cmd. 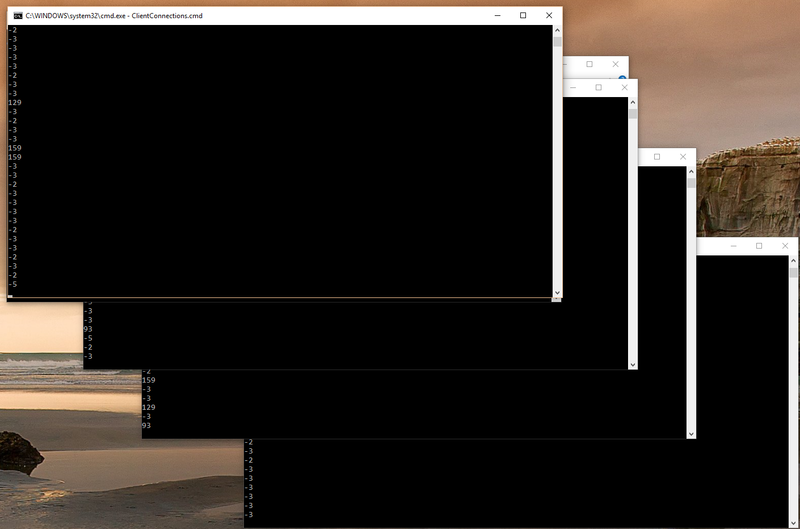 It will spin up 5 command prompt windows. Just to validate we are up and running, you can run a quick query against sys.dm_exec_requests, exec_sessions, queryplan, and sqltext to show our activity. I can see that I have 4 connections and begin playing around. Alright Dear Reader, a few final notes. I don’t have a lot of write operations in this current workload. You could easily add them yourself to the workload script, and I do plan to add some eventually. Yes, some of these queries are bad. No I’m not going to tune them, that’s part of the fun! If you find some cool stuff to do with this script, please let me know. This is a pretty simple framework with a lot of cool potential. Next up for this script, Running it against Azure SQL Database. It’s not that hard actually just a couple configuration changes in PowerShell. Plus, I’ve already done it. More on that Next Week! Any plans to update this for the World Wide Importers database next?